Within the development of the new project in the Dispatching area, two spaces for meeting rooms and video conferences are framed. Collaborative environments to facilitate dialogue and the exchange of ideas among professionals. GESAB was in charge of designing an innovative space, with the aim of facilitating meeting points for employees, placing people at the center of the action. GESAB designed a table for the main meeting room, designed to be occupied by a maximum of 20 people. With a Corian white finish, the new Enagás meeting table gives an image of cleanliness and simplicity that subtly hides all the integrated technology. The table is equipped with 8 retractable monitors to be used in meetings or presentations. These are hidden in the structure, so the surface remains clean and functional. The audiovisual part of the room consists of a 98″ 4K monitor, in which GESAB also installed the sound system. In addition to the main meeting room, a smaller one was developed for informal meetings and video conferences. It has another 65 “and 4K screen and a state-of-the-art sound system. Enagás now has two fully equipped meeting rooms, with the latest image and sound systems, in line with the identity of the company and its commitment to innovation. 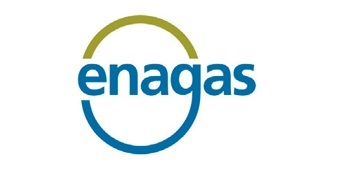 About Enagás: : Enagás is an international benchmark in the development and maintenance of gas infrastructure and in the operation and management of gas networks. With almost 50 years of experience, it is certified as an independent European TSO (Transmission System Operator) and is present in eight countries. In Spain, it is the main transport, regasification and storage company of natural gas and the Technical Manager of the Gas System. 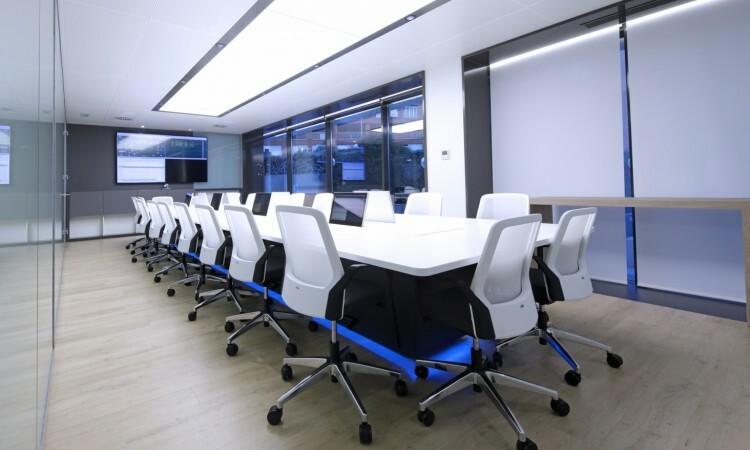 Design and installation of the technical furniture of the two meeting rooms of the new Dispatching area, as well as the integration of the audiovisual and sound systems. Corian meeting table for 20 people, 8 retractable monitors, audiovisual systems, multimedia and sound.